Being single isn’t cheap, but dating is on a whole other level in the financial scale. While you can’t buy love, you do tend to spend when in love. 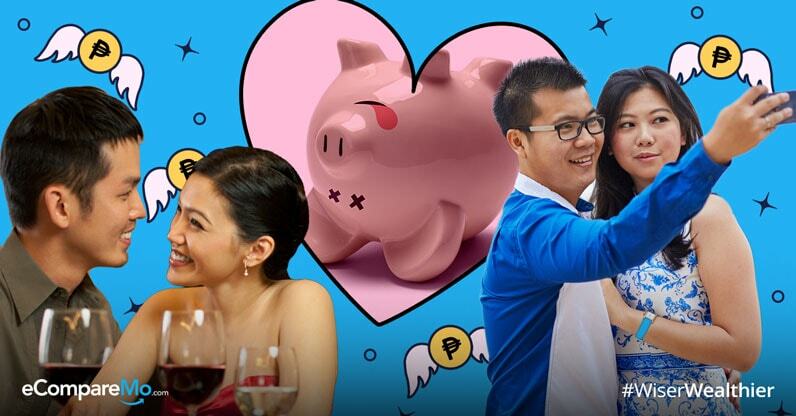 Aside from date nights, there are other activities that you and your partner do that, when you think about it, just drain BOTH your finances. Maybe it’s time to unsubscribe to these five expensive dating norms and start becoming frugal together. After all, the couple that saves together…is most likely to find their forever. Although this is already a given, we still have stress out how important this is. Dining out is acceptable and there are lots of restaurants and hole-in-a-wall joints there that offer delectable food without blowing a hole in your pockets. However, do you really need to go out almost every Friday? Does it make your relationship stronger? If the answer is no, then maybe your relationship doesn’t need to revolve around date night. Although going out for dinner is a great way to spend time together, there are many other ways to keep your relationship alive without frequently munching on the hippest restaurants. Keep your dates on a budget, learn how to cook something for your beloved. “Doing it for the ‘Gram” is a lame excuse for you and your SO to spend money on frivolity just to get the perfect shot. Remember, rushing to new ramen joints or some “museum” just to add a new item to your feed is a pointless exercise in fame. If things aren’t pretty clear to you, you’ll never become an influencer and your partner is terrible at taking photos. Money can feed you. Social media likes can’t. There is absolutely nothing wrong with showing your appreciation to your partner with a shower of gifts. After all, who doesn’t like receiving gifts or making the partner happy with a little surprise? It only becomes problematic when you start to equate love with spending. When you try to solve every problem in your relationship with money, you’ll part ways with your money and your partner in no time. Why don’t you start with words like “I love you” and “sorry”? They’re more intimate and, more important, free of charge. Everyone loves a romantic engagement. In the age of viral videos, everyone wants to become the next five-minute celebrity. Unfortunately, this era also paved the way for the needless one-upping to become the next viral hit. How did we get from something so intimate like popping the question on bended knees to costly ways to propose like flash mobs and ridiculous stunts? Not only do “viral” engagements drain your bank account, they also create unrealistic pressure on couples who want to participate in this needless arms race. It’s pretty hard to get away from the dating norms we’re accustomed to. But, if your relationship is serious and strong enough, aren’t you better off learning to cook together and having intimate dinners and saving the “date night” money to buy your first home? Discussing your spending habits and future money goals with your partner might be initially daunting, but as we’ve covered elsewhere, doing so is actually a better way of forging a long, lasting, and financially stable relationship.